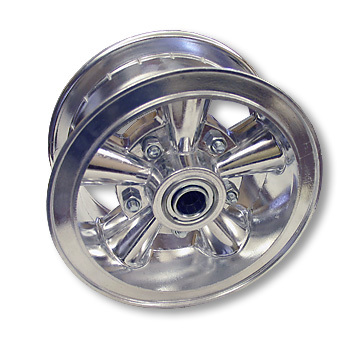 6" custom aluminum alloy split rim wheels. With 3/4" ID ball bearings. To make a drive wheel use our AZ2217-1816 sprocket/drum assembly.